Computers, Privacy & Data Protection conference: Data Protection in A Profiled World? 16 January 2009 – 17 January 2009 Brussels, Belgium: This event aims to offer a discussion forum for policy makers, academics, practitioners, activists and representatives from standardization bodies and ICT industries,on key issues related to data protection and privacy. The main topic of this year’s conference is “profiling and automatic computing”. Other topics covered: e-voting and data breaches, e-privacy regulations and surveillance, privacy by design and social networks. LXDE has a added new component, lxshortcut. It’s a small utility used to edit application shortcuts. I really missed it. In other words, it is for those little buttons you click on and that start the application for you. The tool demonstrates the LXDE philosophy to make the desktop not only lightweight and fast but modular. This is so important because we want life to be simple. We want a desktop environment to be stable. We want code to be manageable. Think back to the Unix konsole world where you always have one tool for one purpose and that tool is stable and known to work. The stability of modern complex desktop environments, in particular those available for Linux but also Vista, is a problem for users, and it affects further scalability of these systems as well. When you add complexity but have no means to make it stable you get software where users are able to discover a bunch of bugs and defects within 3 minutes of use. lxshortcut is a simple tool that meets real user needs. A few days ago I manually fiddled with my configuration files. Sustainability expert Chris Watkins points at the upcoming CarCampTaipei where members of the LXDE team will present their light Desktop environment software. 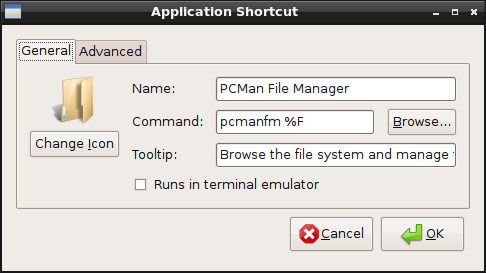 #Linux desktops need a keyboard shortcut for the applications/system menu. Shouldn’t the Windows key be mapped by default?